Go Directly To Blog Now! More posts about seedless fruits and a few surprise too! 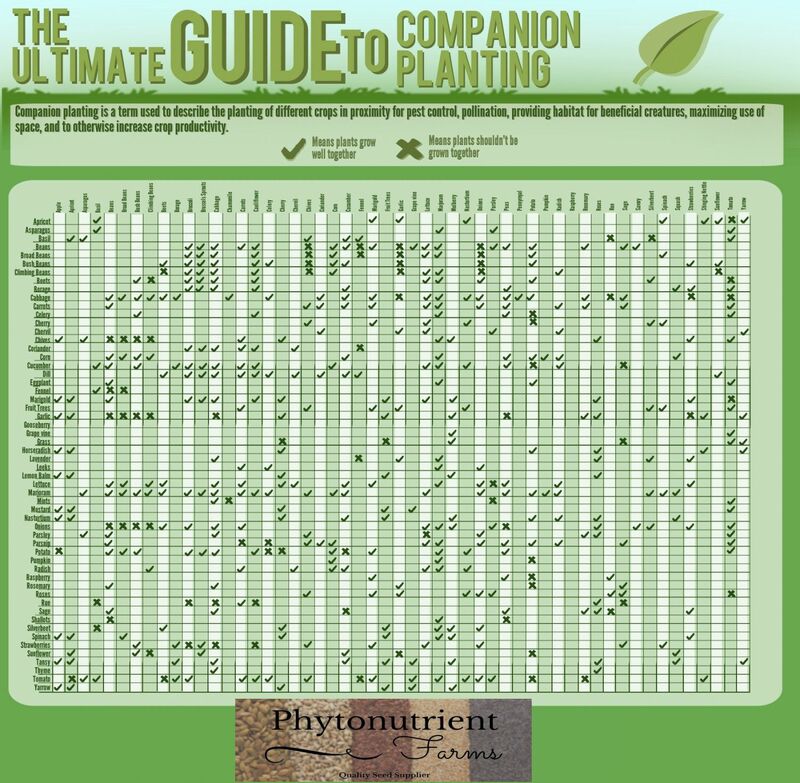 My Ultimate Guide to Companion Planting is available as a FREE DOWNLOAD! Thanks for all the positive feedback on my new (and growing) YouTube Channel. I am very pleased to hear that so many of you have taken time to view my video uploads! Right now you will find more than a dozen short videos available. Several are reviews of Joe's books and other's are "Phytonutrient Quick Lessons," in which Joe gets to rant on subjects that are of interest and (hopefully) educational too. The videos are short and sweet so watching them does not take up much of the time you can be spending in the garden! There are not many subscribers yet so you can be one of the first! Watch the first Quick Lesson below. Check it out today and be sure to subscribe! Visit the YouTube Channel now! Lesson #1 - Have you heard about Phytonutrients? YES! There is a Problem with our Fruit & Vegetables! In recent years a growing number of reports have appeared which concluded that some of today's foods are not as nutritious as those eaten in the past. A report in the Journal of Complimentary Medicine in 2001 pointed out that US and UK Government statistics show a decline in some minerals of up to 76% in fruit and vegetables over the period 1940 to 1991. In 2003 News Canada reported that today's fruit and vegetables contain far fewer nutrients than they did 50 years ago. They claimed that potatoes, tomatoes, bananas and apples were notably less nutritious. For example, the study found that potatoes had lost 100 % of their vitamin A content, 57% of their vitamin C and iron, and 28% of their calcium. The report went on to examine data from the US Department of Agriculture involving vegetable quality, which showed that over the entire 20th century the average mineral content of such vegetables as cabbage, lettuce, spinach and tomatoes, declined from 400mg to less than 50mg. In 2004 a report in the Journal of the American College of Nutrition examined food composition changes from 1950 to 1999 recorded in the USDA food composition tables. Forty-three crops were examined – vegetables and fruits. The conclusion was that there were statistically reliable declines for 6important nutrients. The declines were observed in protein, calcium, phosphorous, iron, riboflavin and ascorbic acid. The truth is plain to see there is a problem with our modern fruits and vegetables and we need to fix it or it could spell the end of all of us! Check out my friends over at Backyardboss.net I know you'll like what you see! Thank you to all of you who have sent me so many comments and compliments on our newest edition to the GardeningAustin family of webpages - our GMO UPDATE Page. As many of you who know me or have heard me speak know, I am NOT in favor of GMO foods. The reasons are many, but most of all I am concerned about the potential and unintended health dangers that GMO foods may introduce to the Human race. I firmly believe that GMOs are a Pandora's Box that now opened may never be able to be closed again. But that does not mean we give up and stop trying to close it! That is why the GMO UPDATE page was introduced, it is my way to try to do my bit to get the word out and to work to put the lid back on Pandora's Box! Here it is, just like so many of you requested, Joe Urbach's list of recommended phytonutrient-rich veggie varieties for you home garden! The time has finally come! 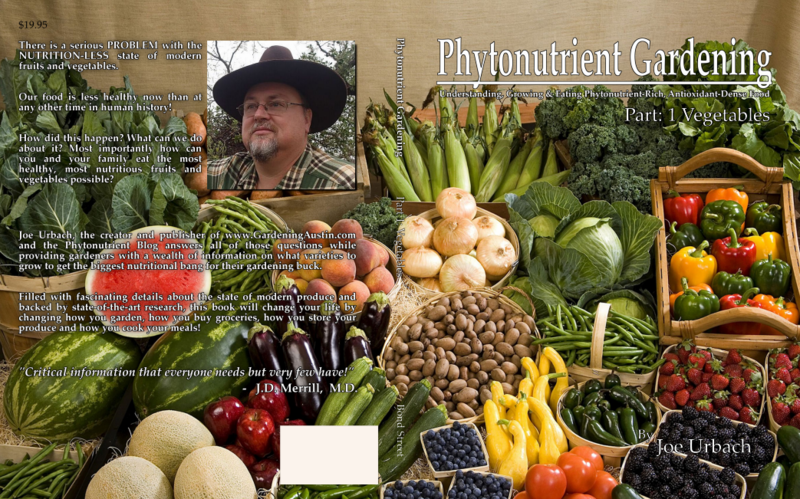 The Phytonutrient Gardening Book is now completed and available for sale! Want more? You got it! Phytonutrient Farms is also now open for business! Phytonutrient Farms is your one shop stop to purchase all of the seeds you need for the phytonutrient-rich, antioxidant -dense plants you want to grow in you very own Phytonutrient Garden! Follow the links below to purchase the new book and seeds for many of the varieties Joe recommends in his Phytonutrient Gardening book! Check out all of my books! Click picture to see all of Joe's Books! Moringa Miracle - A Guide to using Moringa for Better Health and Wellness. Check it out!! 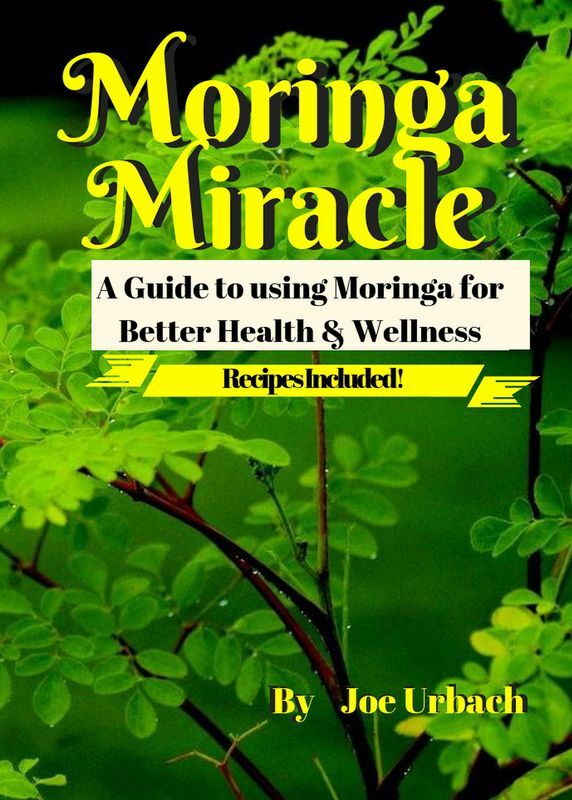 It has tons of new Moringa information, a guide to using Moringa in every meal and even includes over 50 Recipes that can help you incorporate Moringa into your diet to improve you health and wellness!! No matter where I go to speak or who I am talking to about Phytonutrients, I am always asked "what varieties should I plant?" 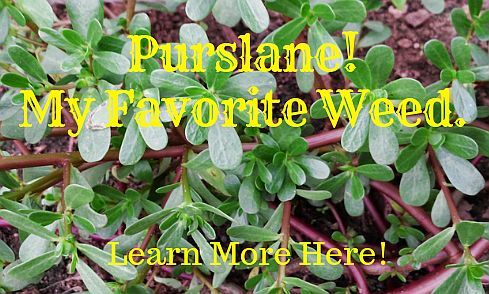 Hit the button below and you can download a list of my recommended varieties! Joe's Tomato Book is a Here! Joe's Tomato book is now available! Pick up your copy today. Click their logo to visit the Urban Farm podcast page where you can listen to many experts on gardening and living "off the grid". One of the featured interviews this week is our own Joe Urbach speaking about phytonutrients and gardening. You can listen FREE to Joe's interview and any of the other interviews on The Urban Farm Podcast so check it out today! Phytonutrient Gardening is simply growing the most nutrient dense, healthy, phytonutrient rich varieties of fruits and vegetables you can. Basically I asked myself this one simple question: If I am growing a garden anyway why not grow healthiest foods I could? When the world and I were both much younger,really not all that long ago, it was thought that vitamins, minerals, proteins, carbohydrates, and fats were all the nutrients we needed to ensure we would grow to be strong and healthy. Now we know it is not quite as simple as that. Have you heard of Isoflavones or flavonoids? These are just two of the 40,000 phytochemicals also called phytonutrients (pronounced fight-oh-chemicals or fight-oh-nutrients) that have recently been discovered. Phytochemicals are a class of nutrients that are found in high concentration in fresh fruits, vegetables and grains. For years, nutritionists (and Moms) have recommended eating our vegetables with the peels and skins on – and the latest research into phytonutrients explains a great deal about why that advice has always been an excellent recommendation for anyone concerned with nutrition. Modern doctors, scientists and researchers have discovered that this truly essential group of nutrients offers incredible health benefits, and that is why I want to be a Phytonutrient Gardener! At first glance, gangly Moringa oleifera, with its thin stems and long seedpods, doesn’t look all that impressive. But looks can be deceiving: Ounce for ounce, the leaves contain three times the iron of spinach, four times the calcium of milk, and more protein than sardines. 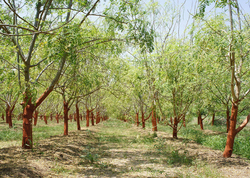 Farmed in its native India for centuries, M. oleifera is just now catching on in the United States. “It’s easy to grow and loves the heat,” says Fred Dixon of The Orchid, in Goleta, California, one of a handful of American farms cultivating the tree. Dixon started last year with 800 seeds and now has more than a thousand 13-footers. While the leaves can be prepared like spinach, Dixon also dries and crushes them into a powder that’s gaining popularity among smoothie-lovers. Moringa may be the closest thing to a multi-vitamin in a single plant source. It is incomparably rich in minerals like potassium, iron, calcium, and sulfur, as well as B vitamins and many amino acids, including all of the essential amino acids. The World Health Organization (WHO) has undertaken scientific researches on Moringa oleifera and has confirmed its extremely high nutritional and medicinal value. Many parts of the tree have been used for treating everyday aches and pains, infections, lung diseases and hypertension. Moringa’s myriad applications go far beyond health shakes, however. Its roots have anti-inflammatory benefits; the seed cake (what’s left after oil extraction) can purify drinking water, fight bacteria, and act as fertilizer. In addition, growing M. oleifera combats erosion. Since 2010, Zambia’s Imagine Rural Development Initiative has used the plant to lift families out of poverty, helping locals start and manage their own moringa plantations. Today, 60 Zambian farmers tend some six million trees, feeding malnourished communities and boosting regional economies. Superfood, indeed. There is much talk about phytonutrients lately. What are phytonutrients and why are they so important? Well simply put, phytonutrients are certain compounds found in plants that evidence has shown to increase overall health and protect against certain diseases including cancer. The term “Phyto” comes from the Greek work for plant so phytonutrients are plant nutrients, though they’re of a different class then the traditional nutrients of fats, proteins, vitamins and minerals. These nutrients are not considered “essential for life” but they are important for health and longevity. Fruits, vegetables, grains, legumes, nuts, and teas are rich sources of phytonutrients. Fruits and vegetables that are high in carotenoids appear to protect humans against certain cancers, heart disease, and age-related macular degeneration. Plants absorb energy as they grow in the ground from the earth and absorb energy from the sun and transfer it to their fruits. We then consume this energy when we eat the fruits which is extracted from the food during digestion via the spleen, something that it little known in western medical circles. That is why these nutrients from natural plant sources are so important and beneficial to human health and longevity. It’s the same reason why drinking herbal and natural teas are so popular in China which has the greatest number of centenarians (people who live to be one hundred years old or older) in the world. All processes in the body require energy, just like any chemical reaction does in chemistry. We get this energy from the foods that we eat and the air we breathe. The body also must have enzymes to break food down, kill viruses, bacteria, dissolve tumors and even to break down and build up muscle tissue and everything else in the body. A diet of at least fifty percent raw, unprocessed foods is vital to make sure that we're getting enough enzymes, phytonutrients, and the all important Chi or bio-energy for the body's processes to function optimally. Carrots, leafy green and yellow vegetables (eg. broccoli, sweet potato, pumpkin, carrots), peaches, apricots, leafy greens such as kale, spinach, turnip greens, tomato products, pink grapefruit, watermelon, guava, green vegetables, eggs, citrus. If one wishes, one can take food enzymes with every meal to aid digestion. This also takes a big load off the pancreas which makes most of the enzymes in the body. The more live, unprocessed food that we eat; the more phytonutrients, enzymes and bio-energy we take in. All natural foods contain this all important bio-energy or chi and without it no life could exist. This is how these foods help to increase our immune system, health, strength and regeneration of the body itself and ultimately help us feel better and live longer. So to boost your own immune system and cell regeneration of the body, eat more phytonutrients and make sure that your diet is at least fifty percent raw, unprocessed natural foods (preferably organic whenever possible) and you too can soon be singing the praises of phytonutrients. Is now open! What does that mean for you? It means that you can now buy all of the seeds for your own Phytonutrient Garden from one source you can trust! All of the seeds sold by Phytonutrient Farms are Organically Grown, NoN-GMO, Hand Harvested and Hand Sorted to ensure freshness and quality! 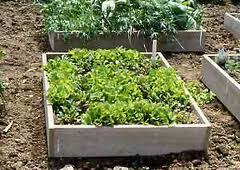 Phytonutrient Farms is your best source for high quality, Organic, non-GMO seeds for your Garden! 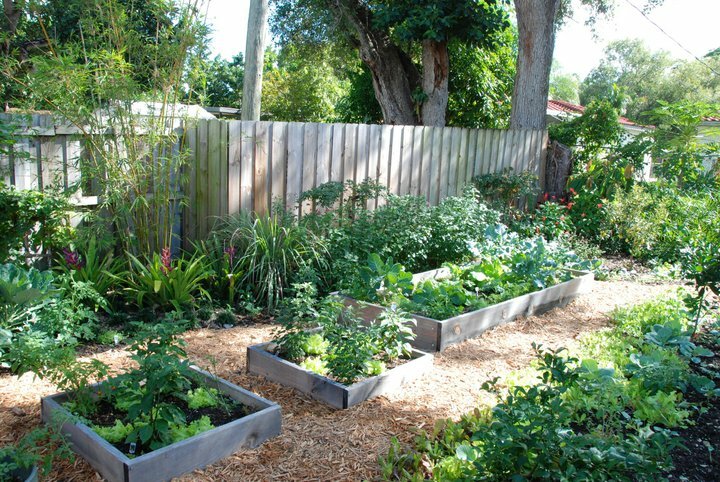 Marcie P. of South Austin had this salad garden installed this March. It is her fourth raised bed kitchen garden. 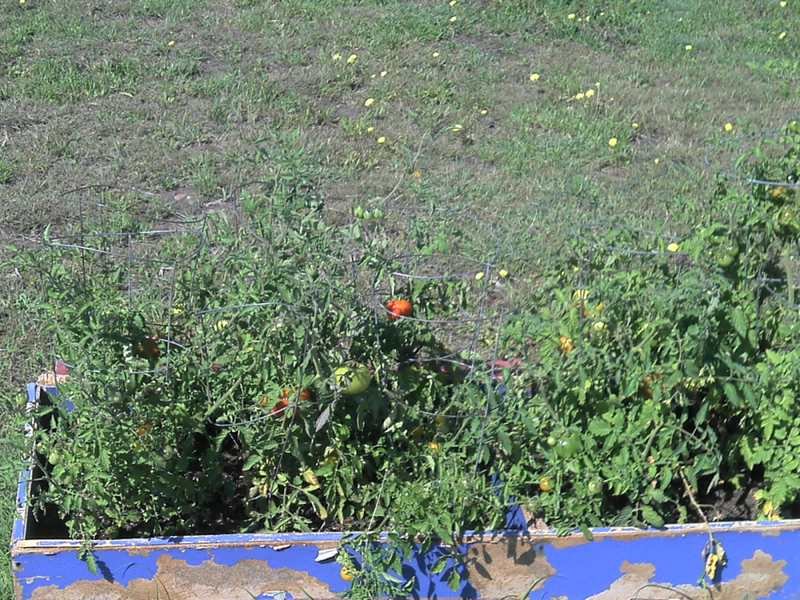 Lauren G. of North Austin turned this old bookshelf into a fun and funky raised bed Tomato Garden. Joy H. of Cedar Park had us help her finish this 2 year project creating an amazing space to relax and rejuvenate. It is a space that also provides all her meals with fresh, healthy and delicious veggies. That's right the new book is available right now! Get yours today!! Win FREE seeds just for commenting on my blog. Every week one lucky comment will be select and the person who left it will win an order of seeds from www.Phytonutrientfarms.com! Hand Harvested seeds for all of the Phytonutrient Gardening Varieties you want – And now you can win free seeds! I want to know what you are thinking so please comment today!